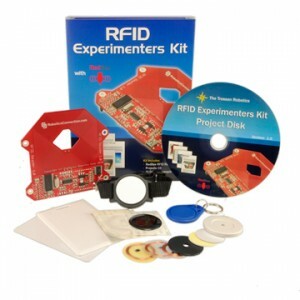 The RedBee RFID Kit is now available!!! RFID Logger – Learn programming techniques to communicate with the RedBee RFID reader. RFID Deadbolt – Enhance an electronic deadbolt to accept RFID authentication. RFID Login – Log in to Windows Vista and Windows 7 using an RFID tag. RFID Safe – Modify an electronic fire safe to accept RFID authentication. RFID Racers – A new type of RC car racing game based on RFID enabled checkpoints. This entry was posted on Tuesday, July 20th, 2010 at 12:52 pm	and is filed under Adventures in RFID. You can follow any responses to this entry through the RSS 2.0 feed. You can leave a response, or trackback from your own site.